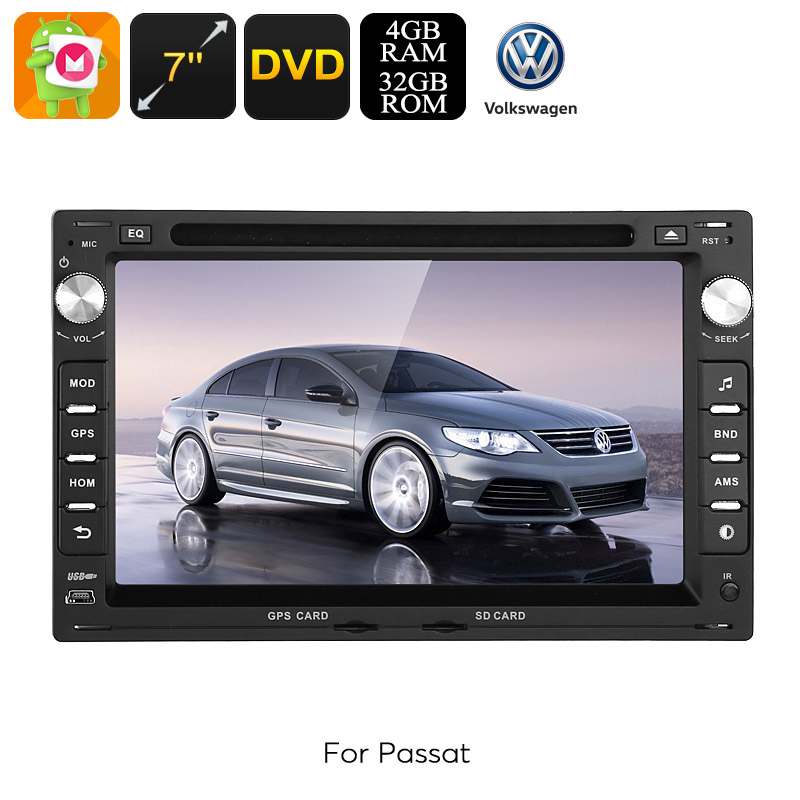 Successfully Added 2 DIN Car DVD Player - For Volkswagen Passat (B5), Android 8.0.1, Octa-Core CPU, 7 Inch HD Display, GPS, WiFi, 3G, CAN BUS to your Shopping Cart. Entertain your kids and passengers with this 2DIN car DVD player for your Volkswagen Passat (B5). With its region-free disc player, this car DVD is capable of playing all the DVDs out there. Simply insert a movie, and your kids and friends will stay entertained throughout the entire trip. Besides playing regular DVDs, this 2 DIN car stereo brings along plenty more entertainment possibilities. With its Android 8.0.1 Operating System, it lets you enjoy the latest Apps and Android games straight from your dashboard. Simply head out to the Play Store and download the media of your liking. From now on, nobody will ever have to feel bored while driving along in your car. By supporting WiFi and 3G connectivity (Dongle not included), this Car media player allows you to browse the web at any given moment. You’ll be able to stream movies, download Apps, and stay connected to friends and family back home. Your car DVD player itself features a simple to use design and is easy to install. Therefore, even people without any technical knowledge will be able to install this cool car accessory into their vehicle. For extra convenience, this car gadget comes with CAN BUS support. This means that you’ll be able to control its basic features such as volume control and selecting a song via the buttons on your steering wheel. With a 20-Channel GPS in place, this car media player makes sure that you’ll always reach your upcoming destination on time. From now on, you’ll never have to worry about getting lost again. A sufficient Octa-Core CPU is in place along with 4GB of RAM to handle all your mobile demands. Whether you use this two DIN car DVD player for watching films, playing games, or for its navigation features – it is sure to meet your demands without dropping a frame. With 32GB of internal storage and external USB and SD card support, it offers plenty of space to store your media and Android maps. All of which can be enjoyed from its stunning 7-Inch HD display.